Avelabs has successfully proven that our processes and management systems fully lives up to ISO 9001:2008 by yet again passing its first ISO inspection with no deviations raised.The inspection was performed an independent certification body, who audited our entire organization, key development processes, systems and management. Our organization focuses intensively on Quality Management and constant improvement of activities; a work which is rewarded with the ISO certification. During this year's audit particular focus was made on management, HR, quality, order processing and deliverables; all to ensure a consistent customer-oriented approach in all our activities. 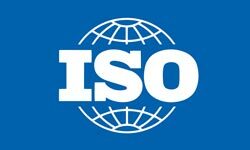 Having a status as ISO-certified company we must ensure to maintain and develop our company with the customer in focus and further ensure a uniform performance towards all customers. ISO facilitates a documented recognition of the challenges and problems that may arise. This enables us to react fast and initiate corrective and preventive actions to ensure continuous improvement. Thanks to the entire Avelabs team for obtaining this achievement! Avelabs is delighted to announce the opening of the new office as we grow our business across Germany. 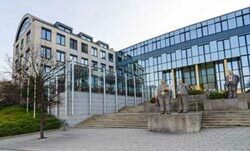 The new office is located in the heart of the automotive industry at Königstraße 10C, 70173 Stuttgart. 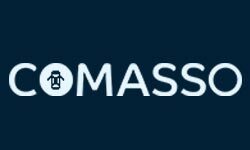 After more than 10 years of AUTOSAR development and integration, COMASSO was initiated as a common AUTOSAR implementation. And since we share the same goals, Avelabs joined COMASSO and extended its services portfolio to include its stack. With avelabs team experience over all AUTOSAR stacks available in the market, Avelabs can add great values to COMASSO stack deployments. Avelabs has moved to new office space to accommodate the rapid growth and future expansion plans. The new office space located at Maadi Technology Park, 11435, Cairo will provide capacity for increased engineering services and products development. The new space will allow as well for compliance to different quality standards since the facility is equipped with all requirements for environmental, safety and data protection aspects. Avelabs releases and deploys its first embedded software product (Aveloader) which is a generic and customizable bootloader capable of communicating over Ethernet, USB and CAN protocols. 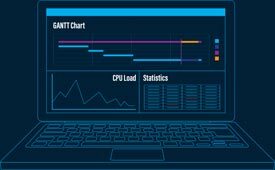 Comprehensive system timing profiling and analysis. Automatic detection of divergence between system requirements and its software implementation. Smooth, fast and HW-debugger-independent integration. Minimal prerequisites for integration process. Smooth usage at any stage of the AUTOSAR program. Non-AUTOSAR systems can be easily measured as well. 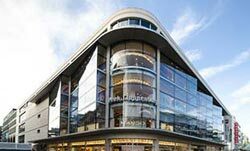 Avelabs is delighted to announce the opening of the new office as we grow our business across Germany. The new office is located in the heart of the automotive industry at Landsberger Straße 155, 80687 München. Avelabs is participating as an exhibitor at AUTOSAR 4th open day at Paris. Come meet us to discover how we influence and contribute to the automotive industry! Avelabs has become the newest member of the Automotive Open Systems Architecture (AUTOSAR) consortium. 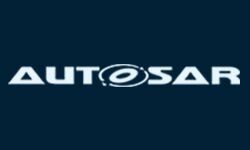 AUTOSAR is a partnership of key players in the automotive, electronics and software industries dedicated to managing the complexities of rapidly increasing electronics and software technology in vehicles through the creation and adoption of globally recognized, open-standards-based platforms. Avelabs joins AUTOSAR as a Development Partner. In that capacity, Avelabs will participate in select working groups. The company will also make ongoing technical contributions and, in return, share in the full pool of information contributed by other members of the consortium. Avelabs's clients will benefit from the new association as AUTOSAR embraces accelerated movement to high-performance devices and computing, the use of common building blocks for vehicle development, and the simultaneous reuse and protection of intellectual property. After working in the automotive software industry for 8 years each, Avelabs founders decided to start a new Tier 3 company that is targeting providing future focused innovative embedded solutions and services for the automotive industry. The plan is to build an organization that is capable of enabling its clients to focus on innovation by offering solutions and services for AUTOSAR, embedded linux, MBD, functional safety and ADAS.